What do these leading businesses have in common? They are all members of the Museum of Discovery and Science’s Leadership Guild. 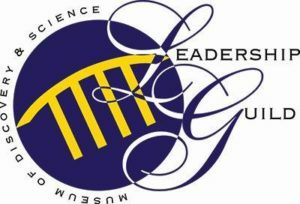 The Leadership Guild is a distinguished group of major South Florida corporations that have elected to make a meaningful investment in the operations of the Museum of Discovery and Science, above and beyond that of the traditional corporate sponsor. The mission of the Museum of Discovery and Science is to provide experiential pathways to lifelong learning in science for children and adults through exhibits, programs and films. Leadership Guild partners support the Museum’s mission delivery by making a significant commitment to the Museum’s operations, including programs, films and exhibits. In return, Leadership Guild members receive a comprehensive benefit package that is tailored to corporate and philanthropic objectives. Your commitment at the $50,000 annual level provides the Museum with the ability to continue as a leader in science education in the South Florida community. Your organization can make a difference as a Leadership Guild partner! If you have questions or would like more information about sponsorship opportunities, please e-mail Meredith Feder, Vice President of Development.